Synovial sarcoma (SS) is an aggressive soft-tissue sarcoma with a poor prognosis owing to its resistance to radiation and chemotherapy. Thus, novel therapeutic strategies for SS are urgently required. Anlotinib, a new oral tyrosine kinase inhibitor, is designed to primarily inhibit multi-targets in vasculogenesis and angiogenesis. This study was designed to characterize its antitumor efficacy and possible mechanism in patients with advanced refractory synovial sarcoma. Anlotinib’s antitumor effect was evaluated in vivo and vitro. Downstream targets of anlotinib in treating synovial sarcoma were analyzed through microarray assay. Cell proliferation and apoptosis analyses were performed to evaluate the impact of candidate downstream gene depletion in synovial sarcoma cells. Microarray assay were carried out to investigate potential signal network related with candidate downstream gene. 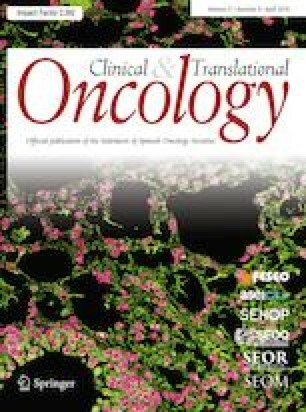 Anlotinib significantly suppresses synovial sarcoma proliferation in PDTX model and cell lines. Additionally, GINS1 (also named as PSF1, Partner of SLD Five 1), rather than other conventional gene target, was demonstrated to be a vital target of anlotinib’s antitumor effect in synovial sarcoma through microarray assay. Expression of GINS1 was remarkably higher in synovial sarcoma tumor samples and related with poor outcome. Knockdown of GINS1 expression could remarkably inhibit proliferation and promote apoptosis in vitro. Meanwhile, through microarray assay, CITED2, EGR1, SGK1 and SPP1 were identified and further validated by qPCR/WB as downstream targets of GINS1. Anlotinib might suppress proliferation of SS through a novel downstream GINS1-regulated network which plays a vital function in SS proliferation and also demonstrated that targeting the GINS1-regulated signal pathway could be a potential strategy for management of SS. L. Tang and W. Yu have contributed equally to this study. This study was supported by NSFC (National Natural Science Foundation of China) to Zan Shen (no. 81672658), Wenxi Yu (no. 81502325) and National Key Research Project of Science & Technology Ministry (no. 2016YFC0106204) to Zan Shen. All procedures performed in studies involving human participants were in accordance with the ethical standards of the institutional and/or national research committee and with the 1964 Helsinki declaration and its later amendments or comparable ethical standards. All applicable international, national, and/or institutional guidelines for the care and use of animals were followed. In this study, the Ethics Committees of Affiliated Sixth People’s Hospital, Shanghai Jiaotong University have approved all studies about human participants and animal experiments. All participants have written informed consents.